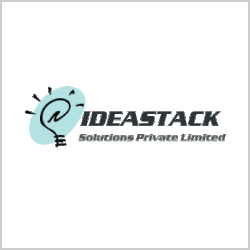 IdeaStack solutions private limited Specializes, exclusively and intensively in Web Hosting. Their experience and know how of this industry tallies upto 7 years, each year making them grow into the company they are today, hosting numerous websites with the help of talented IT geeks. They have developed our own fault Tolerant white labeled system of clustering servers called optimized hosting. All sites hosted with them on their fault tolerant cluster awards you with spectacular performance and zilch down times. In optimized hosting, each site is hosted on a server which will give you maximum performance for your site. How is this done, you ask? Well, when you sign up with them, your account is created on a random server. Ensuring your uploading on your site, they incessantly audit it for usage statistics. Say, if your site is forum based and requires a super performance of MySQL server, it will be displaced to a server with the lowest MySQL load among the cluster. The most terrific thing is that all the servers are within the cluster, hence absolutely nada changes are needed from your end in the domain name server’s. IdeaStack servers have high level physical security and power redundancy Your data will be safe and secure with them.With their ultra modern Network peered with all major isp's latency will be a thing of the past. They have a dedicated team of support for sales and support to help you in anytime(24/7). You can also chat with them. Keeps sending same replies on tickets. No Answer to calls made. Clone site running on shared server of other provider takes 8 seconds to load and same site on their VPS takes 14 seconds to load. Support is dumb too. Keeps restoring db to old dates, without providing solutions or solving issue properly. Never ever buy their services even for free. They are scammers. I bought vps in Ideastack... and that vps keep crashing in 20 days i open 5 support ticket for "cant connect to vps"
they are not refunding customers also. 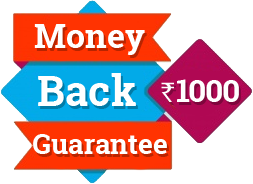 Ideastack services very good and useful. Their support and security system is the best. Their price is affordable to everyone, especially for small enterprises. Their services are recommended to small business.